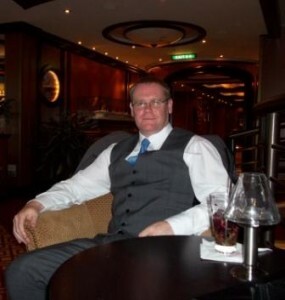 My name is Rob Taylor, and i am a professional Forex trader and investment manager. I teach new and experienced traders how to make money from Forex trading. Here is a quote from one of my students. “There is no such thing as a holy grail, or a fool proof system in Forex trading, but i believe that what you teach, is as close to the holy grail as we are ever going to get”. Many traders struggle to make profits consistently from their trading. The main reason in my opinion, is because most traders do not fully understand the market, and the driving forces behind it. The majority of training and education available to traders is very poor. Poor training leads to false beliefs about what is happening in the market. Consequently these false beliefs will lead to miss informed trading decisions. I look at the Forex market very differently to the majority of traders, and my Forex training course will really open your eyes to all the BS and false information you are currently relying on to make your trading decisions. I will show you what is really happening in the market. My insight will totally transform your trading, and give you the understanding you need to make money consistently, day in day out. Please take the time to have a look around my site, and feel free to call me on 07939 42 7000, email me at rob@tradeforexmakemoney.co.uk, or live chat with me, if you have any questions about how i can help you to become a successful, profitable Forex trader. If you are in the UK I will be happy to call you. To request a call back please drop me an email with your number on, and the nature of your enquiry, and i will be happy to call you back. If you are outside of the UK, i can call you Via Skype. Just drop me an email and include your Skype id.